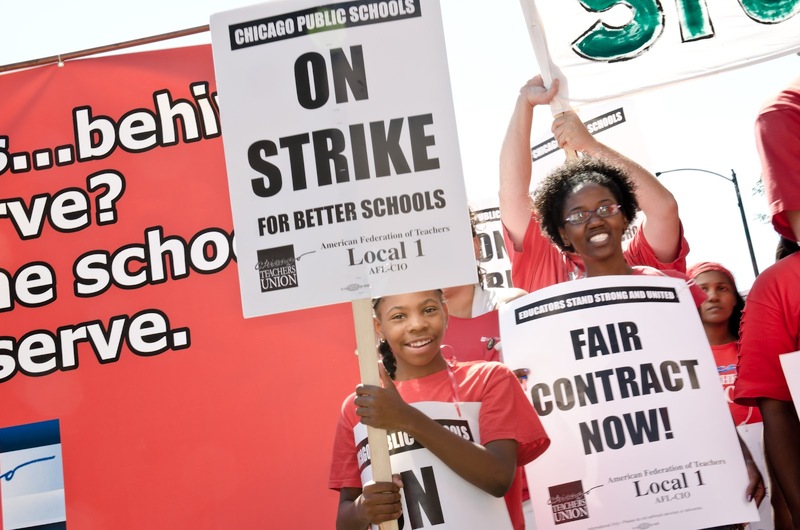 The Chicago Teachers Union is in a fight for a fair contract, job security, and the resources to give students a better school day. 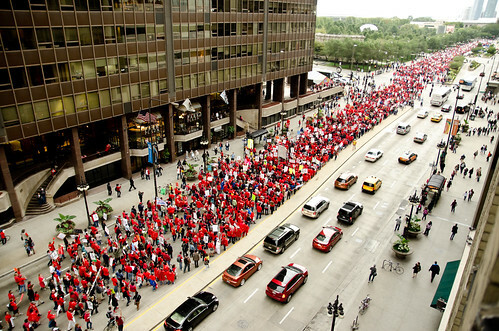 This is a strategic fight for public education in Chicago and nationally. 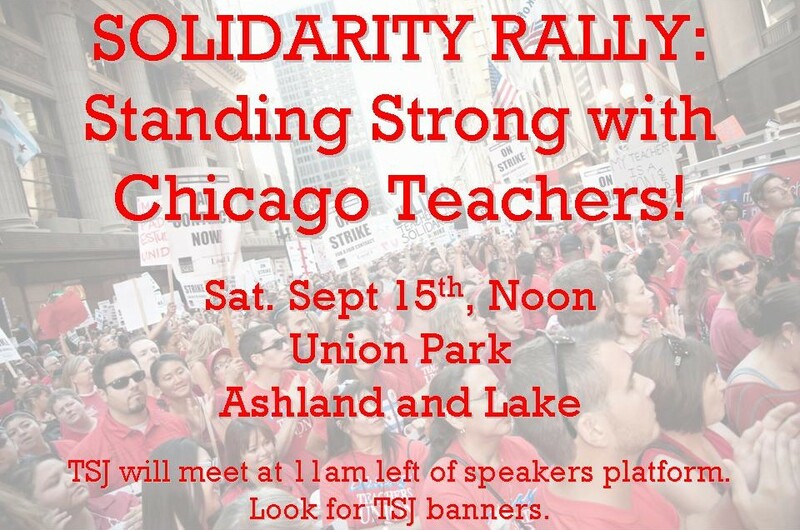 Rahm is counting on pitting parents and community members against teachers, and the corporate media is pumping out the anti-union message. We have to counter it with grassroots power. 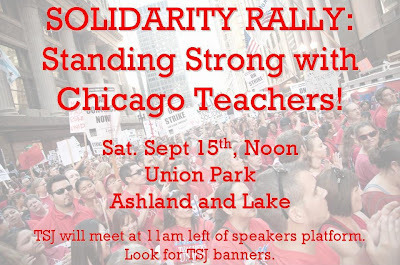 Join teachers, support staff, and paraprofessionals on the picket lines. 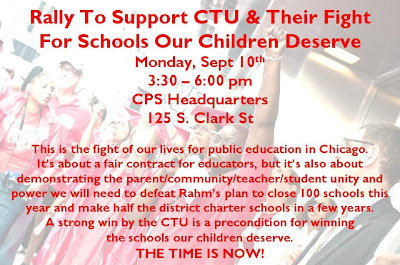 They need us to show we are on their side and to talk with parents at the schools Rahm is keeping open for students. Click here for list sorted by school or by zip code. 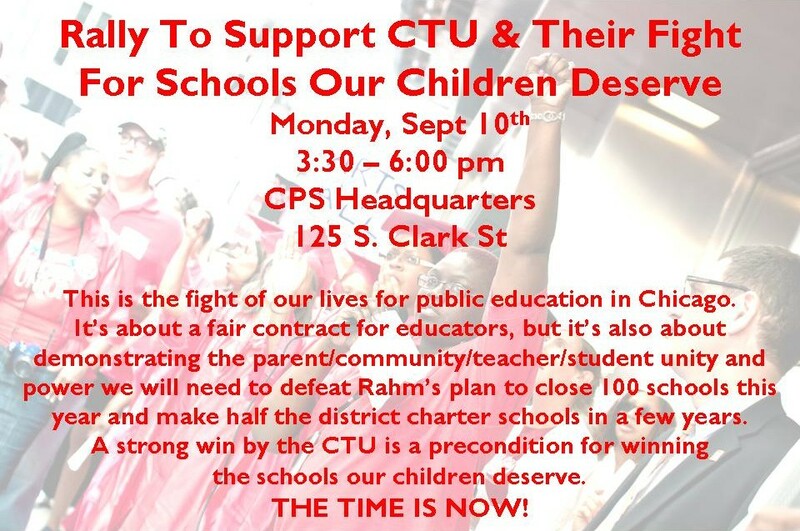 Put a CTU support sign in your window/yard. 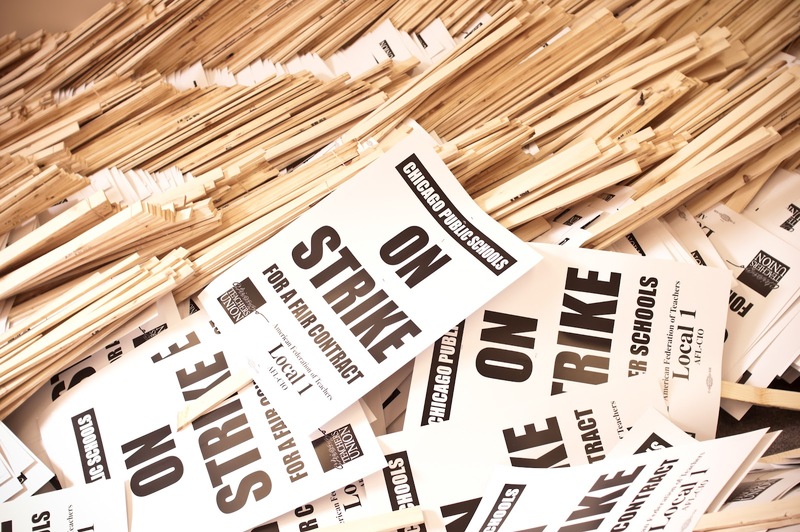 Distribute signs to coffee shops, work places, other public spots. Hand out leaflets and talk to parents and community members at el stops, shopping areas, etc. Coordinate passing out leaflets with others. 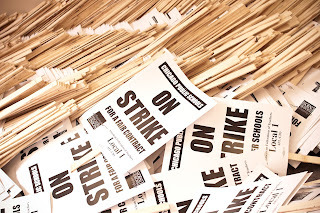 Make your home/office a pick up location for signs and leaflets. Banner drops over busy highways, key public intersections. 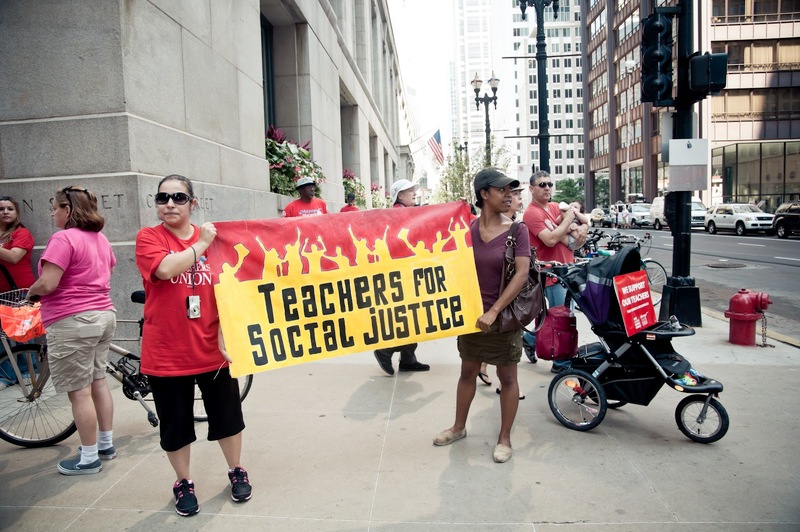 Help out at the Uptown Families United Strike School, grades K-8th, and welcoming HS students as tutors. Daily, from 9:00-3:00, in Uptown. Email teachersforjustice[at]hotmail.com with what you are able to do. 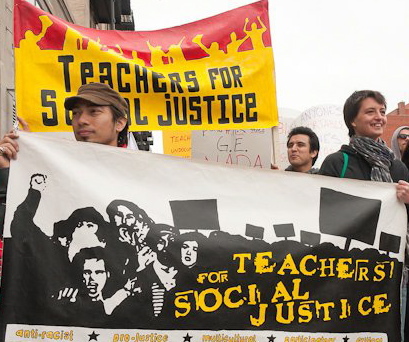 Watch TSJ website/Facebook for updates on what we are doing and how you can plug in.